Former Gov. Bob Ehrlich was in professor mode Tuesday afternoon as he made his annual visit to a political persuasion class at Towson University taught by his friend, Professor Rick Vatz. With the semester winding down, students and faculty filled a lecture hall to hear the former governor speak about the 2012 presidential election. Ehrlich, Mitt Romney’s Maryland campaign chair, prodded students on how they would sell their candidate — faults and all — no matter which side they supported. A quick poll of the class showed students evenly divided among supporters of President Barack Obama, supporters of Romney, and those who are still undecided. “This is symbolic of what’s going to happen in the next six months,” Ehrlich said in response to answers articulated by pro-Obama and pro-Romney students on why they’ll be voting for their candidate. Students who expressed support for Obama tended to focus more on the president’s personality and background, which Ehrlich admitted was hard to beat, whereas Romney-supporters voiced concerns about the economy as graduation nears. Ehrlich said in politics it was just as crucial to assess the strengths and weaknesses of your own candidate as your opponent. Ehrlich came prepared with lists of the strengths and weaknesses he perceives in both Obama and Romney. 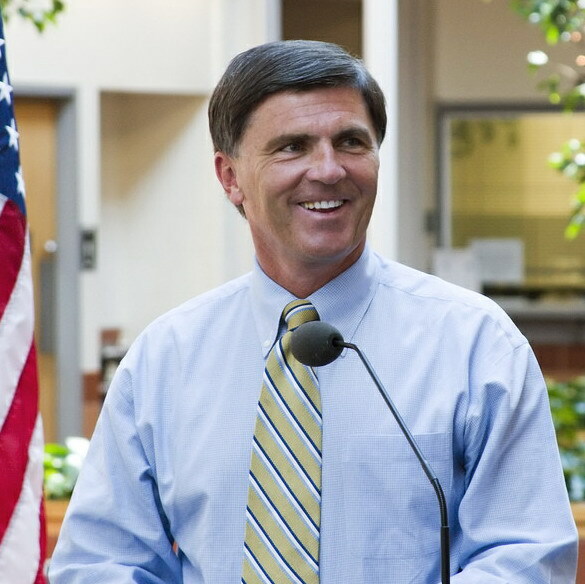 The Towson University campus is familiar territory for Ehrlich, who donated his congressional papers to the university in 2003. He has been making an appearance before Vatz’s class most of his political life — it was the 19th year Ehrlich has spoken to students. Despite the local setting, Ehrlich steered clear of local politics during his appearance. Asked after the lecture his thoughts on next week’s special session to pass the remainder of the budget package, Ehrlich declined to comment. “That’s in my past now,” he stated. Ehrlich’s focus has shifted largely to the national stage since his failed bid for another term as governor in 2010. In November, he published a book on national politics, entitled “Turn This Car Around: The Road Map to Restoring America,” and says he is at work on another book focused on national politics. He is also a weekly columnist for the Baltimore Sun. Ehrlich also did not comment and the students did not ask about the ongoing trial of political consultant Julius Henson for a robocall on election night 2010. Ehrlich’s top campaign aide, Paul Schurick, has already been convicted of campaign fraud for the call that was not identified as coming from the Ehrlich campaign.